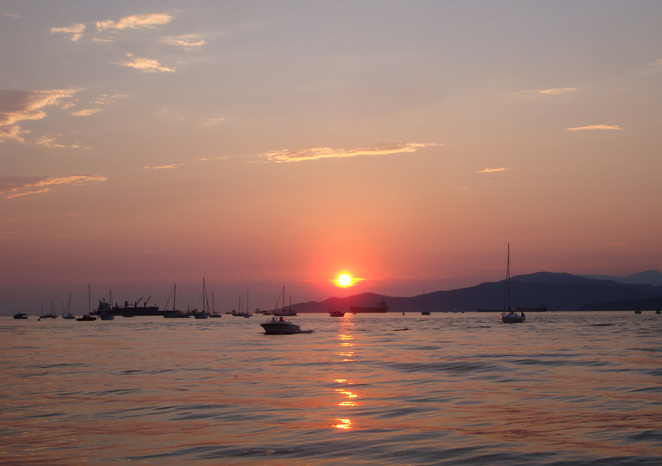 If you enjoy the thrill of an adrenalin-pumping, high-speed boat ride exploring Vancouver's water front, then a SeaVancouver sightseeing trip is the way to go. Their distinctive yellow eight-seater rigid inflatable boats (RIBs) provide a glorious 55km/h, 90 minute tour around Stanley Island into English Bay, through False Creek and back around Vancouver Harbour. Between bouncing along on the ocean waves, there are plenty of stops and cruising time for taking photographs and listening to the skipper's informed commentary about some of the highlights of Vancouver's seafront developments. There are more than 30 points of interest along the route, including the city's seaplane terminal, the world's largest multi-use terminal, where you can see Cessnas and Beavers take off and land as they take passengers to and from destinations along British Columbia's 800-mile coast. I was particularly interested in getting up close to some of the offshore freighters anchored in the bay, which come from all over the world transporting potash, fuel, sulphur and coal, among other cargo. There's a good chance you will see an inquisitive harbour seal pop its head out of the water to take a look at you as you go by and if you're very lucky you might see a grey whale or a bald eagle. You are provided with life jackets and windcheaters to keep out the chill in the late afternoon, and you can leave your bag behind in a secure room in Seavancouver's office in the Westin Bayshore Hotel on the south-west shore of Vancouver Harbour. This is also where you buy tickets for the tours and meet half an hour before departure to read and sign a waiver form. Boat trips depart hourly between 10am and 7pm every day from the jetty just outside the Westin Bayshore Hotel and cost CN$42 per person. We went on the 7pm tour, which was wonderful as we saw the sun setting over the horizon. As you're travelling at speed, it feels cooler than when you're stationary and the later in the day the tour, the cooler it gets, so do take the jacket offered by Seavancouver staff or bring your own. We sat at the very front of the boat – for maximum excitement! – and didn't get wet at all from sea spray but I think we were lucky, so make sure you keep your camera under wraps until the boat slows down.